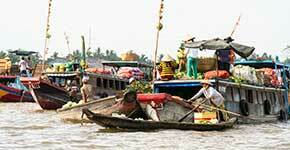 Experience for 1 day the less travelled parts of the Mekong delta. 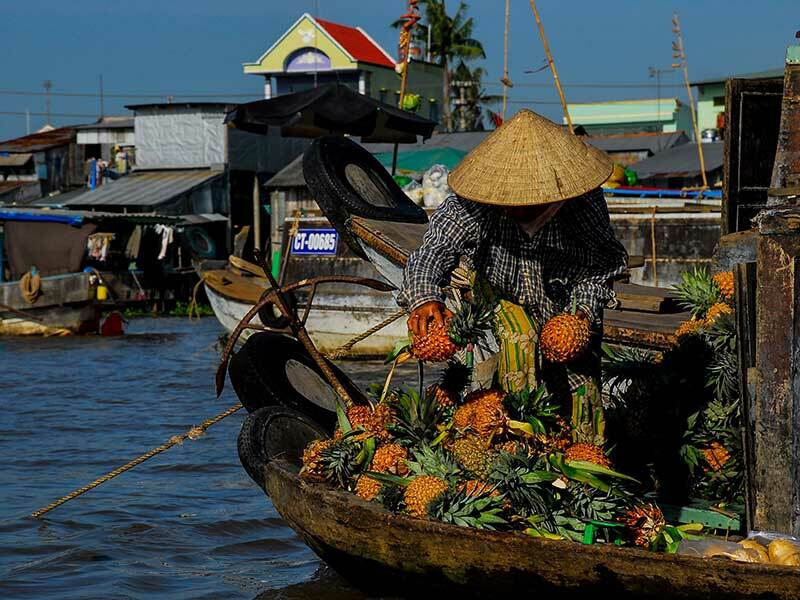 Visit farms and workshops, slide down narrow canals on local sampan, ride a bicycle on rural bypaths, seize any chance for a friendly chat with locals and taste the mighty Mekong cuisine. 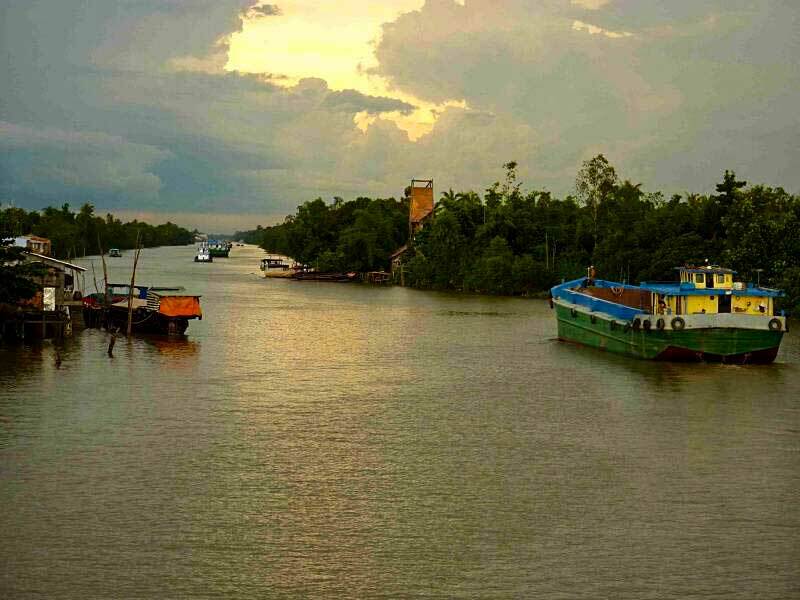 The tour starts in Can Tho but If you are staying in Saigon, we will pick you up at your hotel (district 1 and parts of district 3) and will take you back there after the end of the Mekong Delta cruise tour. We depart from your hotel at 8am and make our way through Saigon traffic. 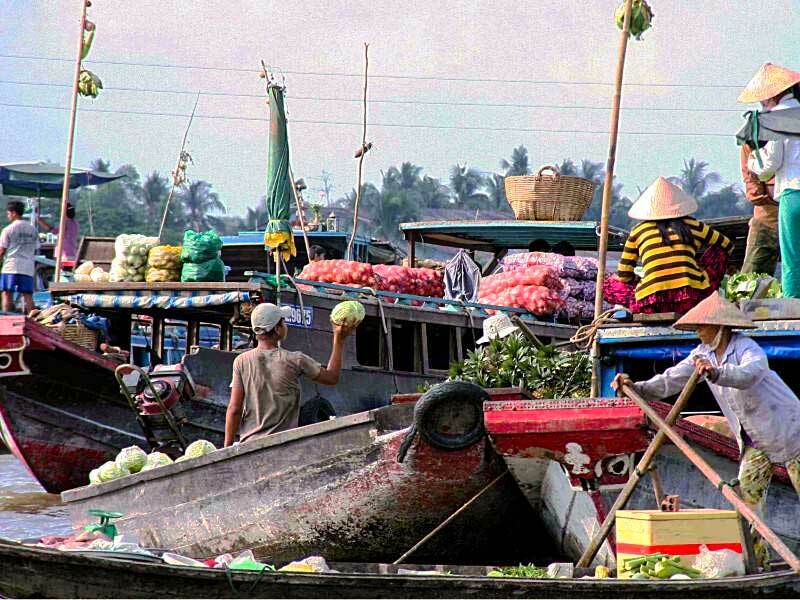 We arrive in Ben Tre about 10am and board a boat straight away for a nice cruise along the Ham Luong River. We go at easy pace and enjoy several stops en route to discover some traditional know-how of the region. They have been passed from generations to generations for centuries and practices were kept intact. To end a busy morning and prepare for a slightly late lunch, we hop on bikes and start a leisure ride through forest and orchards. 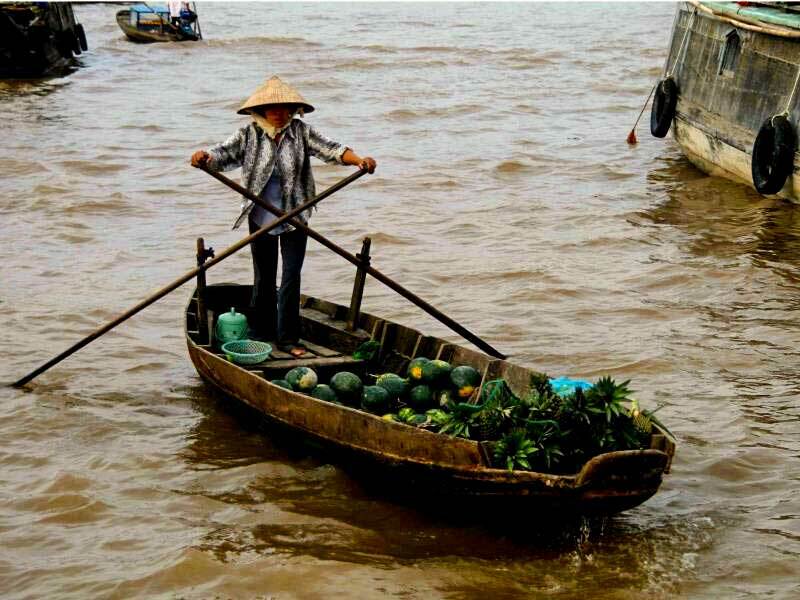 We reach a nice riverside restaurant and get ready to finally taste some typical cuisine of the Mekong delta. You will have a chance to prepare and cook a local dish: dried banana flower and enjoy the result. The afternoon is dedicated to waterways exploration. On a sampan along narrow canals first, and then back on the boat to cruise back to the pier. We loop-the-loop in Ben Tre, and we start our drive back to Saigon. Arrival at your hotel is expected around 5pm.